Every once in a while, we come across a dealer that is doing creative out of the box things to increase their sales. Such has been our experience with our new dealer: Body Armor Performance, 11800NE 65th St., Vancouver, WA 98682. Body Armor has some great real estate, right at the corner of a busy intersection. They pretty much have a captive audience while drivers are sitting waiting for the traffic lights to turn. To take advantage of this situation, they have a truck bed on wheels located out front to attract people’s attention. Body Armor has traditionally used this bed to show off bed liners, but are now using it to show our Rightline Gear Truck Tents. 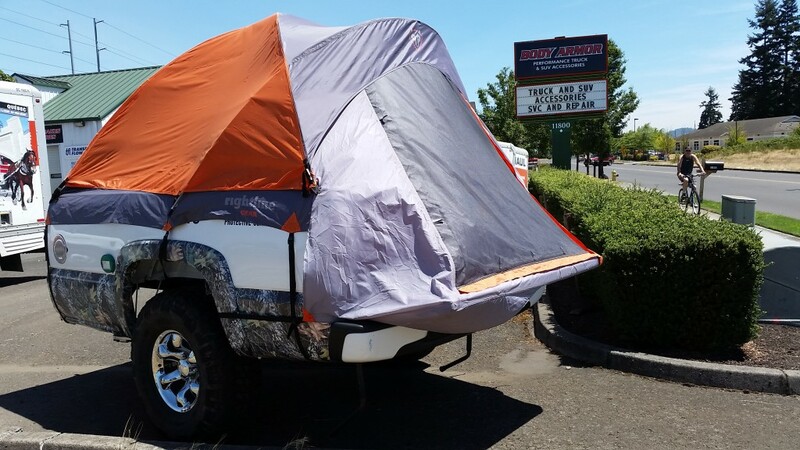 Most people, even truck owners, have never seen a truck tent before. What a great way to catch their attention and prompt them to come investigate. Body Armor has done a nice job with the tent display inside of the store as well. 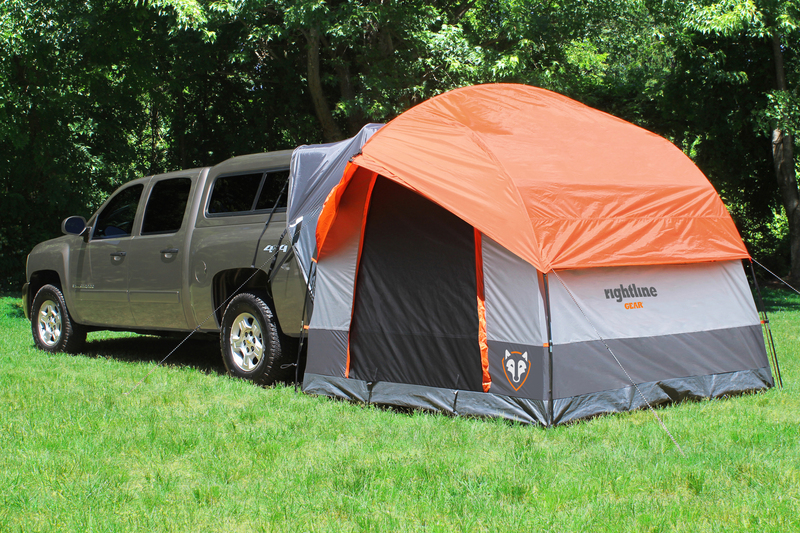 Body Armor is also stocking our SUV Tent, model 110907, which can attach to the rear of a truck with canopy. Truck canopies are one of the main parts of Body Armor’s business. 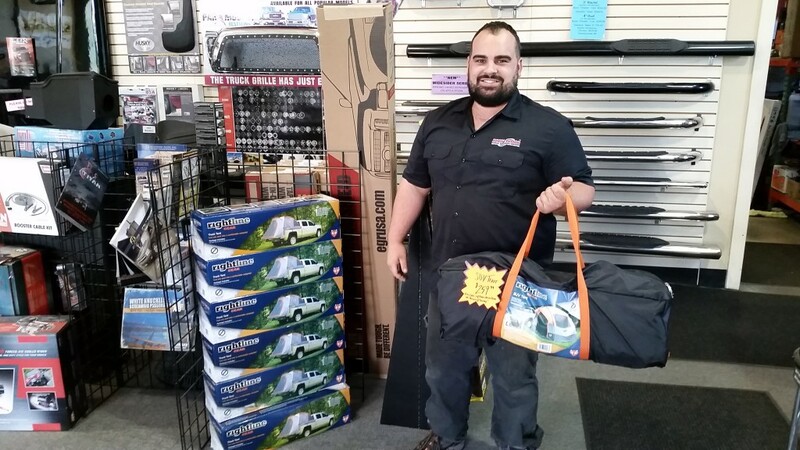 Those of you in the area, check out Body Armor for all of your truck accessories. I have a full size pickup On your website I’m trying to find where you had A-tent that goes around the truck and the topper trying to find the cost of it. Can you help me with any information on this.